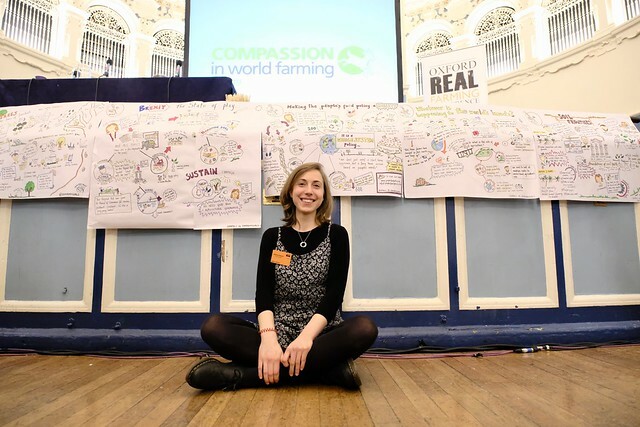 On January 4th and 5th 2018, I had the pleasure of doing graphic recording for the Oxford Real Farming Conference. 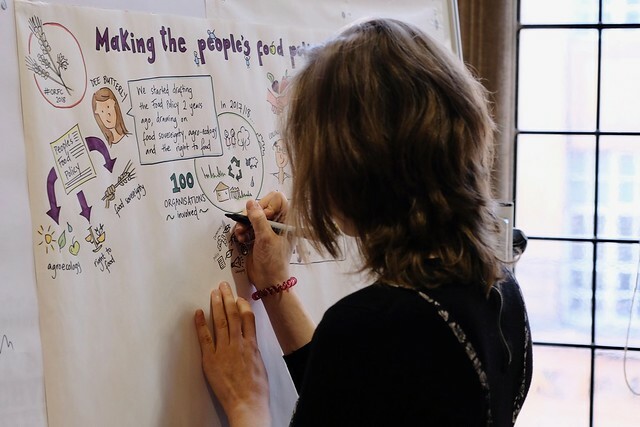 The ORFC is more a social/environmental movement than a conference; groups of farmers, land activists, growers, researchers and policy makers all join together to catalyse the learning and action towards a more effective, democratic and sustainable food and agricultural system in the UK. 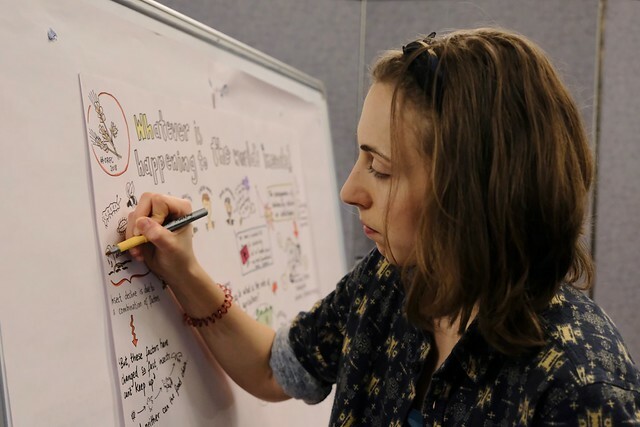 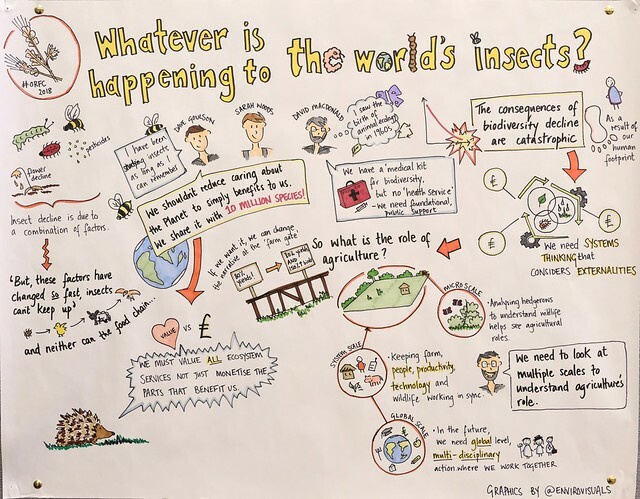 With a background in agriculture and food sustainability, the ORFC was the perfect playground for me to create visual summaries of the informative and inspiring talks on Brexit, biodiversity, people’s food policies, insects and many more. 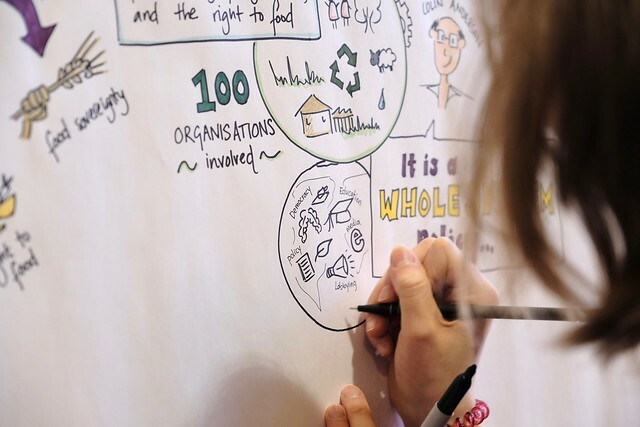 Here are some of the visuals from the two days. 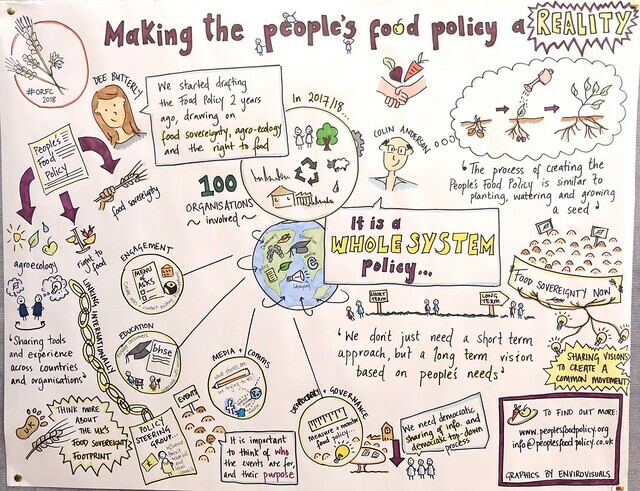 I’ve attached a few taken on my phone and also links to Hugh Warwick’s Flickr account – he took photos of the whole 2 days, so well worth a look through. 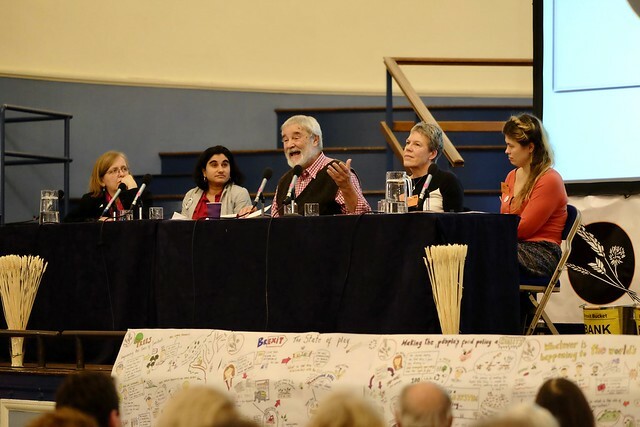 To read more about the ORFC, click here.